The Corcovado Foundation will host its annual wine dinner and auction on Saturday, September 22 at Tin Jo restaurant, in downtown San Jose. 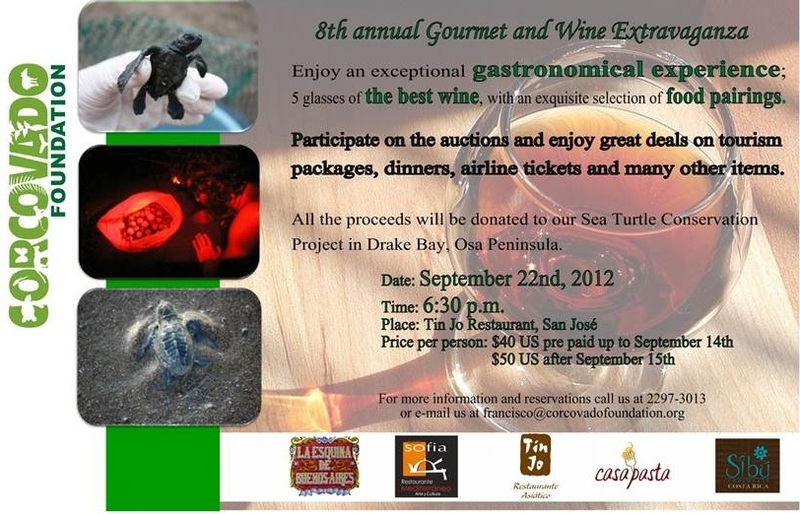 The event features a selection of foods and wines accompanied by live music, and featuring both a silent and live auction. This is a good chance to enjoy good food and wine, while supporting a worthy cause, and getting a chance to snag a good deal at the auction. Auction items typically include a range of hotel and tourism packages to some of the finer Osa peninsula lodges, often going at a deep discount. This entry was posted in Special Event, Wine Tasting and tagged Corcovado Foundation, Tin Jo by costaricaeats. Bookmark the permalink.